The rules shown here are an expanded version of the rules provided with the game. The rules included with the game assume that players are familiar with the terms, "trump" and "trick" because they are terms commonly used in other games. Space now affords me the luxury of briefly explaining these two terms. "Trump" : Normally one of the 4 suits is made trump by turning over the top card of the deck after the deal has been made. If the card turned up is a spade then that is the trump suit. Cards of the trump suit will always win over any other suited cards. "Trick" : The total of the cards played after each player has played 1 card makes up a "trick". If there are 5 players a trick will consist of 5 cards. If there is "no trump" the highest card of the same suit as the first card led will normally win the trick. If there is a trump suit played it will win over any other suited card. To determine a dealer, each player is dealt one card. High card deals. On the first deal each player receives one card. All of 60 of the cards are shuffled before dealing the next hand. Two cards are dealt on the second deal, three on the third and so on. Each player must play one card when it is his/her turn to play during a hand. The deal passes to the left after each round and the new dealer shuffles all 60 cards. After the deal, the next card is turned up to determine the trump suit. If the card turned up is a Jester, it is turned down and there is no trump for that round. If the card turned up is a Wizard, the dealer chooses one of the 4 suits as the trump suit. The dealer cannot choose "no trump". On the last round of each game all cards are dealt out so there is no trump. Each player in turn beginning to the left of the dealer states the number of tricks he/she will take (zero or 1 on the first round) and the scorer records the bid on the score pad. The total number of tricks bid may or may not equal the total number of tricks available. This is often abbreviated to CR. It is an optional rule but is used in all official Wizard Tournaments. If playing online the Host can select it or not. The play begins to the left of the dealer. Any card may be led. Players continue to play in clock-wise order and must follow suit if possible. There are 2 exceptions to this rule. A Wizard or a Jester may be played at any time, even if the player is holding a card of the suit led. (b) if no Wizard is played, by the highest trump card played. (c) if no trump is played, by the highest card of the suit led. The winner of the trick leads next. For correctly predicting the number of tricks taken, a player scores 20 points and receives 10 additional points for each trick taken. A player whose prediction is incorrect loses 10 points for each over or under trick. i.e. If you bid zero tricks and take no tricks you have made your bid and score 20 points. If you bid 1 trick and take 1 trick you have made your bid and score 20 points plus 10 for a total of 30 points. If you bid 2 tricks and win 3 tricks you have not made your bid because you took an extra trick. You lose 10 points on the scorecard. If you bid 4 tricks and take 1 trick you did not make your bid. You lose 30 points because your bid was off by 3. Note: The deluxe version of Wizard provides scoring wheels which are very useful when using either of the bidding variations. 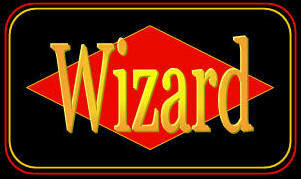 Wizard "bidding coins" are recommended for the regular game. If you don't have a card that is the same as the suit, or a trump card, do you not lay any cards down? Or do you pick from the pile until you have a card of the suit or a card to trump? Answer: If you have the suit that was led, you must play it or a Wizard or Jester. If you don't have a card in the suit that was led, you can play any card, including trump, Wizard or Jester. If a card is led, in which I do not have the suit am I forced to play trump? Or can I throw any other card? can take its toll on your skin as well as your life. Your skin is your body��s largest organ and stress causes hormones to be released that impact all your organs. I am first-time try to play this game, and I don't know rules of this game. So this post is very helpful for me. Thanks for sharing.. The rules shown here are an expanded version of the rules provided with the game. If no one has a trump or wizard who wins the trick? The printed rules only states that the order of play begins with the player to the left of the dealer and continues in a clockwise order. In other trick based games, like Euker, after a trick is won, the player who won the round leads on the next round. However the rules do not explicitly state that this is the case... and there are other round based card games where the order of play is not altered by winning a round. Question is, for each trick after the first, does the player who one the trick lead the next round, or does the person to the left of the dealer always lead?